Some of the earliest arrivals to this land were Muslim immigrants. In fact, nothing is more American historically than veiling and debates on veiling. As a high school junior, Caleigh Wood refused to complete a history lesson on “The Muslim World” that she said forced her to embrace Islam in conflict with her Christian faith — and the Constitution. Is Islam a Western Religion? It doesn’t hate us. It is us. In an expansive interview he gives his views on Iran, Turkey and the future of Islamism. 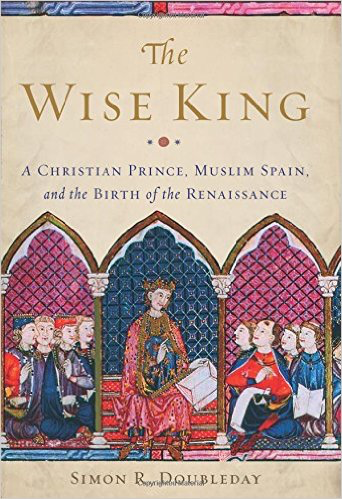 Islamic Spain Ended in the 15th Century and We Still Can’t Agree If It Was a Paradise or Hell? The data published last week by the Pew Research Center shows that Islam will surpass Judaism as the second biggest religion in the country, behind Christianity, within two decades. Why this Catholic writer, author of "WHAT THE QUR’AN MEANT: And Why It Matters," is a great guide to an Islamic text. He stayed anonymous for more than three years, documenting Islamic State’s atrocities and the destruction of his city as the blogger Mosul Eye. Omar Mohammed, now in Europe, is done hiding. His tweeting of anti-Muslim videos could very well have real-world consequences. Supporters say accusations are part of 'international Zionist plot' against him; all the complainants said they had been in contact with Ramadan for spiritual guidance. What history shows is that Islam is very much an American religion. Muhammad Ali's public conversion to Islam, in 1964, was among the most defining moments of his remarkable life. Here we go again: Another professor dealing with the Middle East or Islam who can’t get basic facts right. Isolated from Europe, Elizabeth I turned to the Islamic world. Here’s why it’s worth remembering Sabbatai Zevi. His name was Alfonso the Wise. We should emulate him. This Historian Just Got Back from Kurdistan – And It’s Left Him Feeling Upbeat About the Middle East! At a time when some American politicians seek to tar whole religions in broad brushstrokes, Islam is not a monolith, it is a mosaic.